For those users who are unable to use traditional methods to access technology, there are many solutions out there for them. Though these can prove expensive and not all schools can afford to get this. Tobii Eyegaze is a one example of a fantastic piece of kit that allows students with impaired motor skills to access a range of programs and technology. In this post, I want to share some of the free open-source solutions that allow users to access technology in a similar way, that I have discovered. 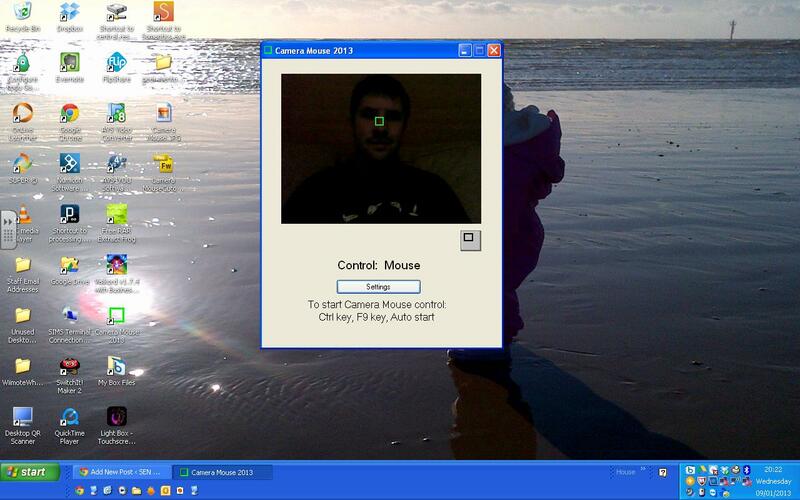 Camera Mouse – This is some software that allows you to control the mouse on the screen using just the movement of your head. It uses a webcam to detect a persons head and you can choose which part of your face the camera tracks. The software was developed by Boston College to help people with disabilities use their computer. It is very simple to use and also allows you to do most functions of a normal mouse. ITU Gaze Tracker – Another piece of software available is the Gaze Tracking Library. This goes further and allow the user to use eye or gaze tracking. This piece of software seems to work best with head mounted cameras and needs a more in depth calibration, though once again this software is free to download. Heads Up Software – This software was developed as part of a project looking into open source head tracking cameras and developed by Simon Evans (@cognable). The software contains 4 activities that uses cursor movement to interact with. Using these with software like Camera Mouse, you have some really simple but effective activities that those users with impaired motor skills are able to access and complete. Have included a video of me playing the bubble test using the camera mouse to show you how accurate it is. These could also be used as a cost effective way of accessing students for more advanced eye tracking software without having to pay out for expensive equipment. It is certainly something that I am going to try and use more with some of our students who struggle to access computer through traditional means.